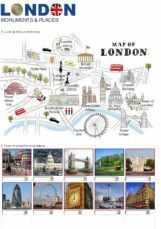 I�ve just started planning my trip to London with mypupils, here�s an exercise I�d like them to do. 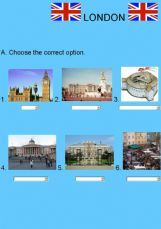 First, the pupil is suppoed to select the correct name for each picture (they represent different famous places in London). Then he/she�s supposed to select the correct end to a sentence starting with "I�d like". Finally, he/she�s supposed to select 2 logical answers for "Id rather" (but with a plausible reason). Hope you can use it with your pupils too. 23 Multiple choice exercises. 9 exercises - Writing the names according to the descriptions. London - Let�s have fun! 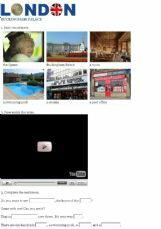 A video and 2 exercises about funny places in London. Look at the map e choose the right names. A short video + 2 exercises. 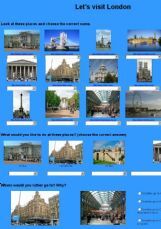 Do you know some interesting facts about London? Try the quiz! A youTube video + two exercises. 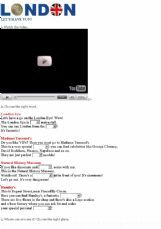 Basic vocabulary, a video and 3 exercises.